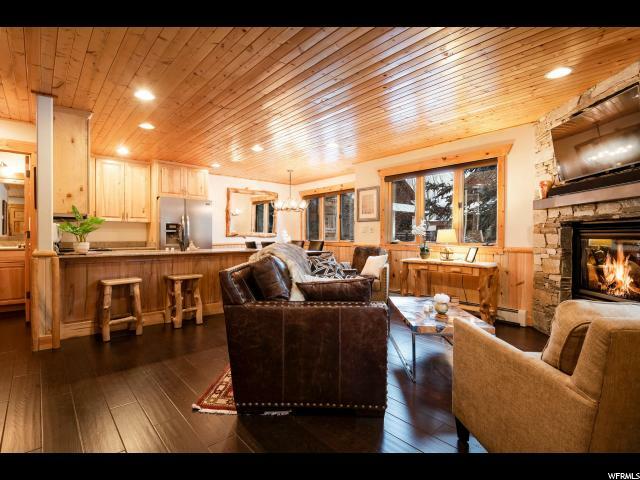 All TIMBER WOLF LODGES homes currently listed for sale in Park City as of 04/18/2019 are shown below. You can change the search criteria at any time by pressing the 'Change Search' button below. "Nestled in the quiet neighborhood of Timber Wolf Lodges, you wouldn't believe the bustling Canyons Ski Resort, owned and operated by Vail, is a short walk away. Ski the slopes at the largest ski resort in North America, enjoy apr s ski activities nearby and either take the free bus home or just walk back to your cozy condo in a tranquil setting. If a lively nightlife is what you're after, hop on the bus to Main Street in Old Town for an abundance of excellent dining, shopping, galleries, nightclubs and bars. Or head to Kimball Junction for more shops and restaurants. This perfect location is situated right in between the two excellent options. Call me for an appointment to meticulously maintained and upgraded condo. It won't last long. "